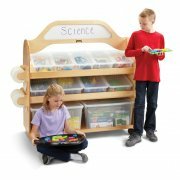 Let your young explorers aim high and develop their critical thinking skills with JontiCraft STEAM Learning Classroom Furniture. This innovative collection offers top-notch safety and durability, alongside everything your students need to get excited and involved in STEAM Learning. 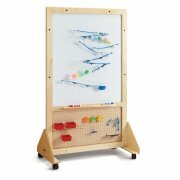 Each piece offers unique benefits, and together the collection will get your students started off right with STEM. Of course, safety is a top priority in STEM learning, especially when children are tinkering and building with all kinds of tools. 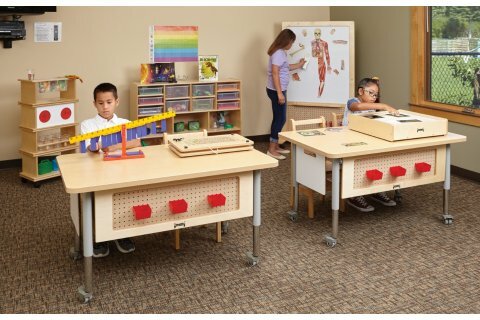 This classroom furniture has rounded edges to prevent snags and scratches. 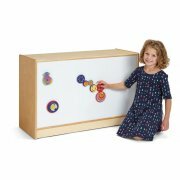 The pieces are constructed to support many years of hands-on learning, with dowel-and-pin construction and an environmentally-friendly UV coating. Full Collection: Choose any combination of STEAM learning models to support your students' education. Smooth Finish: Environmentally-friendly UV coating has extra strong resistance to daily wear. Safe Construction: Rounded edges prevent scratches and other injuries. Sturdy Build: Constructed with durable, dowel-and-pin connections.